Countries you’d like IMG to pay less attention to? Which are the countries you think IMG overrates and gives them placements when they don't deserve it? 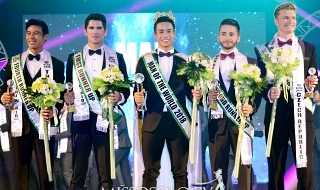 Message: Miss Earth is the best beauty pageant in the world! Re: Countries you’d like IMG to pay less attention to? Philippines and all of it’s overrated delegates. The country is a sh|thole in asia as well. Puerto Rico, because the TS is Puerto Rican. MORE ATTENTION=PHILIPPINES, MALAYSIA, SINGAPORE, INDONESIA, VIETNAM AND OTHER SOUTHEAST ASIAN COUNTRIES. Message: Awesome site you got! Thanks!!! IMG can stop paying attention to the Philippines once that country has reached 9 crowns. Until that happens, the universe should enjoy the top-caliber contestants that the Philippines sends to Miss Universe. None! If a country consistently sends great girls year after year who are above the rest, then they deserve to consistently get noticed. Its not their fault other countries do not give a f**k and send clappers every single year. If Colombia, Venezuela, USA, Philippines and Puerto Rico are the 5 best girls, then they should be the Top 5 because its ridiculous to just put a weaker girl in there just because her country has not gotten "a lot of attention." Like for real? a record of 62 times? USA. 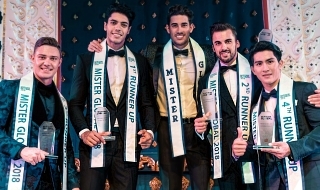 So many clapper-level girls that even made it all the way to the Miss Universe crown (including Puerto Rican winners that were actually USA citizens as well). Juan Sebastian wrote: None! If a country consistently sends great girls year after year who are above the rest, then they deserve to consistently get noticed. Its not their fault other countries do not give a f**k and send clappers every single year. If Colombia, Venezuela, USA, Philippines and Puerto Rico are the 5 best girls, then they should be the Top 5 because its ridiculous to just put a weaker girl in there just because her country has not gotten "a lot of attention." BitterBtwnNepalNPakistan wrote: USA. 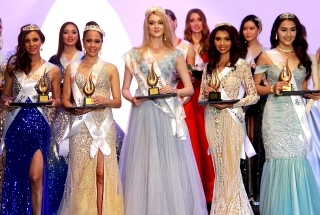 So many clapper-level girls that even made it all the way to the Miss Universe crown (including Puerto Rican winners that were actually USA citizens as well).